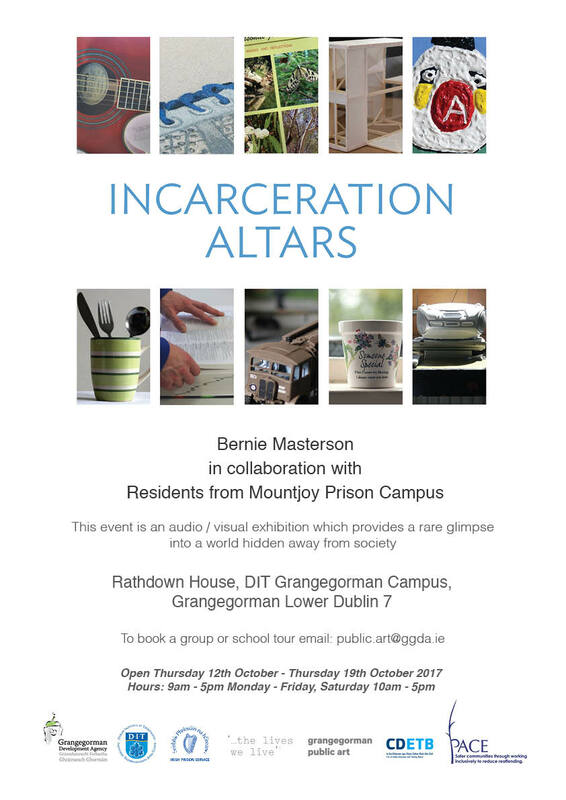 Artist Bernie Masterson is holding a public exhibition on the Incarceration Altars project on the Grangegorman campus from 12th October – 19th October 2017. The project was undertaken in collaboration with residents of Mountjoy Prison Campus and investigates the relationship between person, place and object through prisoners’ view of identity. The audio/visual exhibition will be located in the foyer of Rathdown House close to the main entrance on Grangegorman Lower. Incarceration Altars is part of Pathway 2: Community Based Projects of ‘…the lives we live’ programme. Read more about Incarceration Altars here. See event poster below for opening times or to book a group tour.